Fr Alex Austin and all the parishioners of St Gregory welcome you to our parish website. St Gregory’s Stratford-upon Avon, is a unique Catholic Parish, the home of the town’s Catholic community and part of the universal church. It is the birthplace of Shakespeare and is both an historic and a typical English market town which receives many visitors from all over the world. It is also home to an international community. We are situated on the River Avon in the beautiful countryside of South Warwickshire on the edge of the Cotswolds. We are a monastic parish run by the Benedictine monks of Douai Abbey in Berkshire. The parish covers the town of Stratford and the nearby villages, including Shottery, Wilmcote and Snitterfield. Unusually it borders no fewer than eight other catholic parishes: Wooton Wawen, Hampton-on-the-Hill, Warwick, Kineton, Shipston, Chipping Campden, Bidford and Alcester. All who come here to worship and to visit, are warmly welcomed as God’s children and part of God’s family. We hope that they may experience God’s love and a spirit of profound prayer. 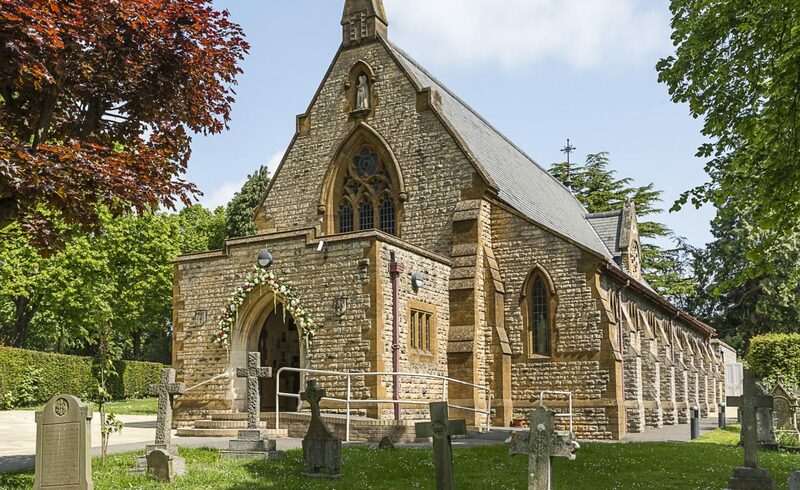 St Gregory’s aims to foster that love through personal spiritual development, combined with an active expression of faith by participating in parish life, and by reaching out and caring for the wider community. The Holy Father’s April Prayer Intention. This is for Doctors and their humanitarian collaborators in War Zones, who risk their lives to save others. Lunch Club Meeting. Next meeting dates 29th April, 20th May, 24th June, 29th July. Lourdes Pilgrimage. 25th – 31st May 2019. Anyone interested in going on the diocesan pilgrimage to Lourdes this year should contact Sharron Jaggers at www.tangney-tours.com for information, booking forms and brochures. Also available on www.birminghamdoicese.org.uk Please note there will not be a separate parish group going this year. L.P.S. Parish Car Park opposite church. The car park is for church use from Saturday 5pm to Sunday 2.45pm. Parking charges do not apply during these times. Please park ‘efficiently’.